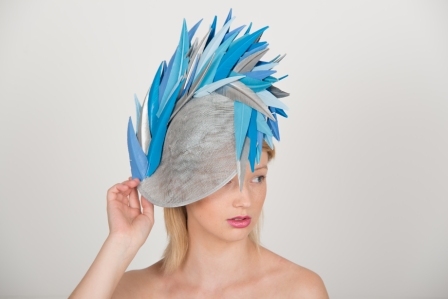 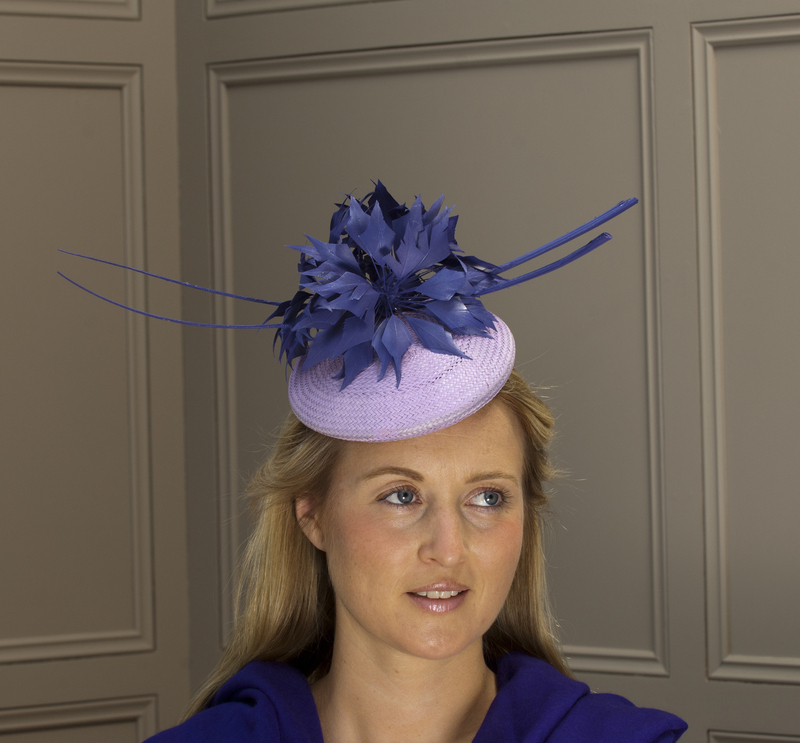 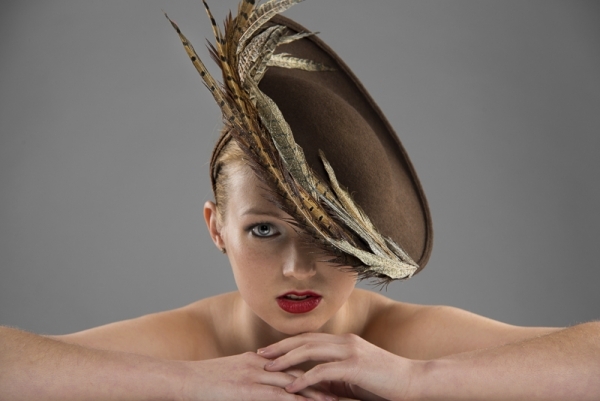 The Cumbria is a fab pillbox hat featuring a round straw base with feather flower and quills trim. 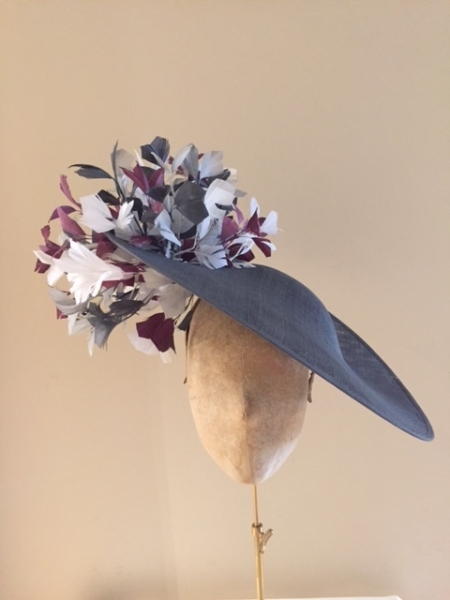 You can have the hat in any colour but we love the way we have used complimentary colours and tones to differentiate the base and trim here. 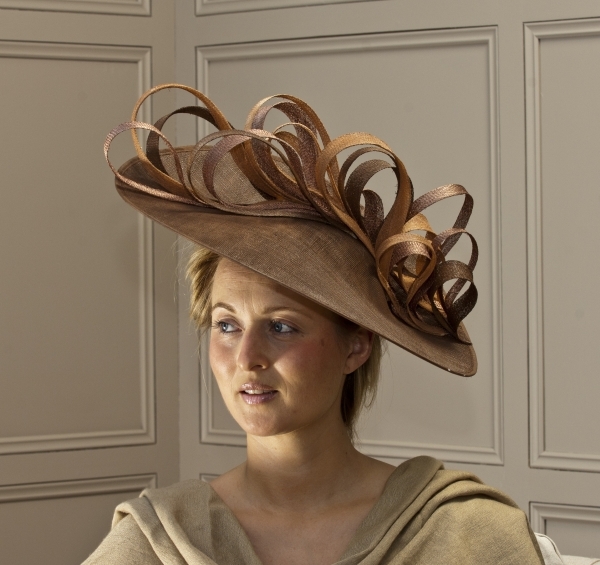 This pillbox hat can be made either on an elastic or a band.